Hundred Million Hard Work Notebook Review – Pens! Paper! Pencils! There’s no doubt about it: Hundred Million’s Hard Work Notebook is an unusual fellow. 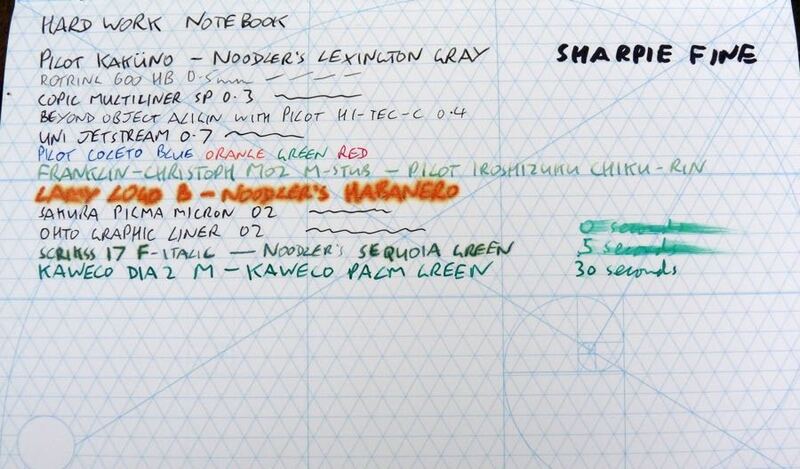 Born of a successful Kickstarter campaign back in 2014, the notebook is available direct from Hundred Million’s website and has many unusual features. I bought this notebook with my own hard-earned cash but Hundred Million are very kindly offering a a brand new one to five lucky readers. Yes, five! Read on to find out how to enter. This is a heavy notebook. It’s got lots of pages and those pages are made from stone. (Specifically, calcium carbonate, which is more commonly found as chalk or limestone.) The stoniness of the paper has several consequences. It’s terrible with fountain pens. Don’t even try, it’s like blotting paper. It’s interesting with pencils and fine gel pens: press down at all and you make a groove in the paper. Fibre tipped pens and broader gel pens are the way to go. With the right kind of pen, the paper is fine. It’s a little less prone to tearing (but still does) and it’s waterproof. There’s no bleeding through to the other side. 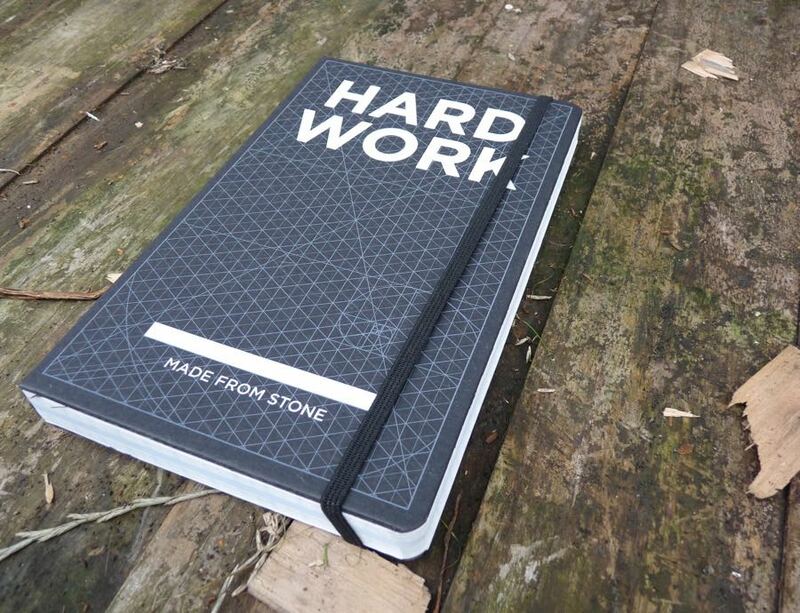 The whole point of the Hard Work Book was to make something quite specific, rather than just put a nice cover on a normal notebook and have that be the end of the design . . . It was created for people working on website layouts, 3D diagrams/typography and doodles where proportion and clarity matter – like engineers or product designers or those creating typography. 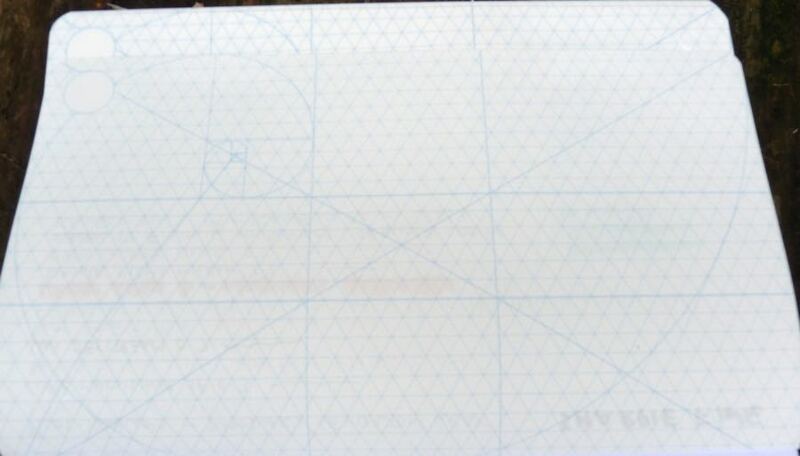 There are white circles in the corners throughout the book, to write in page numbers. The notebook lays flat from front to back. This is a notebook with a fairly specific set of uses. 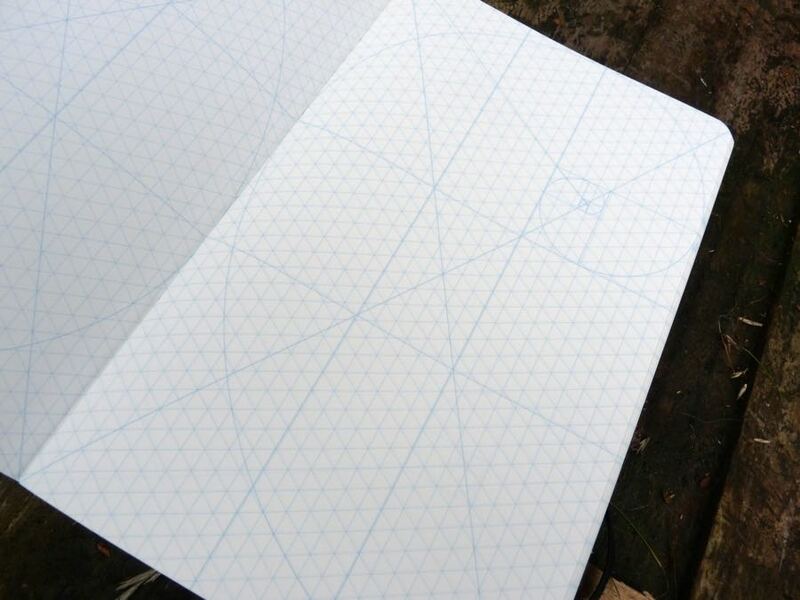 If you need a notebook for one of those uses the Hard Work is worth checking out. If you don’t, then this is an interesting notebook, a curiosity, but quite probably not something you’re going to much use from. As you may have gathered, this isn’t a notebook that meets my needs at all. It’s interesting but I think it’s always going to have quite a limited market. 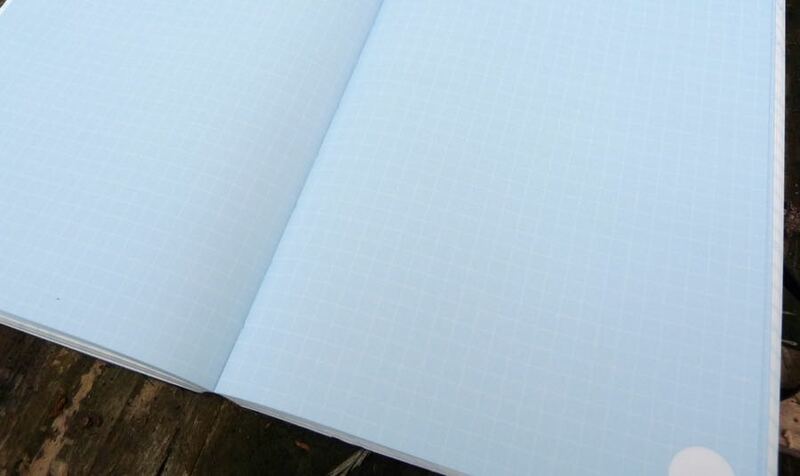 While stone paper, as it exists now, is never going to appeal to a heavy fountain pen user, I think it would help broaden the market if Hundred Million release a version of their notebook with plain or grid paper throughout. Would you like to try a Hundred Million Hard Work Notebook yourself? Leave a comment on this post to tell me what you consider to be hard work. Also tell me where you’re from. Because of the weight of them, I’m only going to send two internationally. The other three will go to readers in the UK. The giveaway closes at 9am GMT on Saturday 7th November. The winners will be picked randomly using random.org and announced on this site. You can only enter once. Hi, Jonathan in London, UK here. Am I the only person who finds scrubbing out fountain pens hard work? It always takes a dog’s age to get the water to flush clear! Hard work immediately rings the engineering firm I once worked for. Mining, construction, etc. As a Quality Assurance consultant, hardwork makes me think of hash work environment, where such a notebook will survive and still look good. Thank you for the giveaway. I’m from Canada. I’d love to try this notebook! Hard work at the moment is picking perry pears and making perry!! This notebook look intriguing. Hard work for me is spending hours preparing and consolidating financial statements. I’m in the USA. Thanks for posting the wonderful review! I’m an instructor at a University in the US and every day I teach I am reminded that it can be hard work (or as Dannels in 2014 describes it: heart work). These look really interesting. Thanks for posting. Russell from the UK. I am a lawyer from India. Hard work makes sense in winning. Thanks for the post. Thanks for the review and giveaway. Hard work: parenting two kids! I’m in the USA. Computer science research/development/problem-solving is the hard work that I do (in California USA) and that’s what I would like to use this book for! Thanks for the give away! Hard work is being a ships agent, in no harder place then Texas ! !